Calling all parents, babysitters, kids and teachers! Get your student to read this summer! Here it comes. The last week of school. I know some schools within my area and the US are breathing a sigh of relief that their school year has come to an end (Mine hasn’t). However, should our students learning come to a halt? I think NOT! This year my class is participating in book clubs over the summer using Kid Blog, but what if your child isn’t in my class. What if they hate the three books I chose for the summer!?!?!? How can you encourage them to read? There are multiple resources out there that will help parents find books that students will enjoy and be successful reading. My students have used the Scholastic Book Wizard all year to identify a book’s reading level. The website is very easy to work and it allows a student to check and see an individual book’s reading level or find similar books the may like. This website also gives a quick synopsis of the book they are interested in reading. A second worthwhile resource to check out is whatshouldireadnext.com. 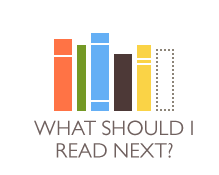 This website allows an individual to put in the name of a book they enjoy, and a list of books that are similar to the book that was enjoyed will be produced for the reader. This is an easy way to get a kid or adult to keep reading once they find a genre or type of book they like. Titles are provided based on books you enjoy! I know one of my favorite parts of the year is when I get to start dreaming of the next year! The moment I get a new plan book, I start penciling in all of the big plans I have for the next school year. Do you do the same? Or, are you a new teacher that wants to dabble in book clubs and guided reading? Well booksource.com is a great website to buy books in bulk for your upcoming school year. This website groups book by genre, grade level, and unit of study. It is a great way to spend your stipend money intelligently because it can grow your library so quickly. Whatever your goals are this summer, your student should not stop their reading journey just because the weather warms up. What do you think the beach is for? (Reading!) Get out there and read this summer! It is so rewarding when students trust you to choose their next novel! I really enjoyed reading your blog, and I look forward to using your author letter project next year as well.